Fear of labor and delivery and the pain associated with both. Fear of damage to the pelvic floor. Fear of postpartum sexual dysfunction. If this is your first baby, labor and delivery is an unknown - and that can be scary. You may have heard horror stories about labor and delivery, or about new moms leaking urine when they laugh or cough. If you tend to plan everything in your life down to the minute, waiting for an unknown date for your baby's birth may seem impossible. If you had a previous vaginal delivery and it didn't go well, you may be afraid to repeat the experience. If you're considering a primary elective C-section, I urge you to talk candidly with your health care provider. If fear is your major motivation, a frank discussion of what to expect might help - as can a childbirth education class. When someone starts to tell you about a terrible birth experience, politely but firmly say that you'll be glad to listen after your baby is born. If your previous vaginal delivery was truly one of those horrible stories, remind yourself that no two labors are alike and that giving birth this time may be a much different experience. Examine what made the last birth so bad and then discuss it with your health care provider, as well as your support person. There may be things you can do to help ensure a more positive birth experience this time. 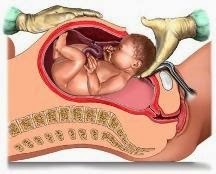 If your health care provider supports your request for a primary elective C-section, the decision is up to you. Educate yourself about the risks and benefits of both modes of delivery, and discuss the pros and cons with your health care provider - but don't let fear be the deciding factor.